Most people store their lawn mowers during the winter months and then only take them out once spring approaches. 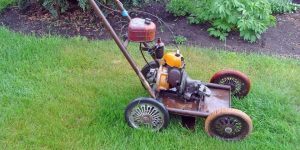 The lawn mower has a small engine fitted inside, so if it’s stored in one position for a long period of time, it may require a bit of maintenance before it can be properly started up again. 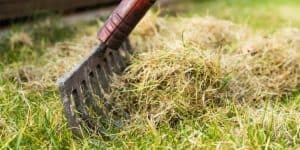 If you want to avoid issues with your lawn mower when you restart it later on, you have to know how to winterize your lawn mower. This way, the lawn mower will be ready for when you want to use it next. Properly cleaning the deck is essential for winterizing the lawn mower. You need to make sure that the blade housing is cleaned efficiently before you put the lawn mower in the shed. 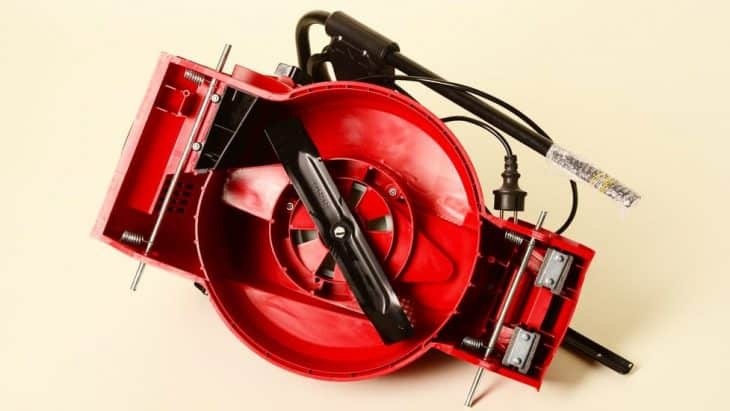 Cleaning the blade housing ensures optimal performance when you restart the lawn mower again. 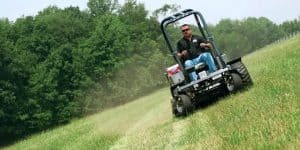 The reason why you need to properly clean the blade housing is because the grass blades have moisture in them, which can cause rust and corrosion over time. A proper shot with a garden hose might be just what you need to clean the lawn mower, especially if they are fresh. 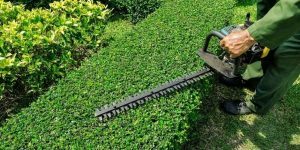 However, if the clippings have dried onto the blades over a longer period of time, you might need to use a paint scraper or any pot scrubber with hard bristles on them. 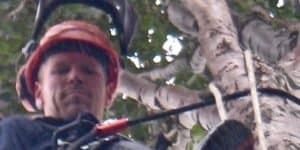 In order to protect yourself while working, you need to wear heavy-duty work gloves, since the blades are incredibly sharp and can cause injury if you are not careful. In order to prevent buildup in the future, you might want to use a silicone spray on the underside of the deck as well. 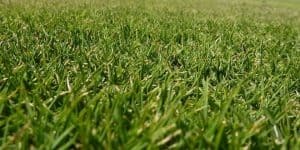 A common issue that arises when storing your lawn mower is the presence of mice or other rodents that find their way in the dormant machine and make it their home for the winter, so you should also place a large container of mothballs near the machine. 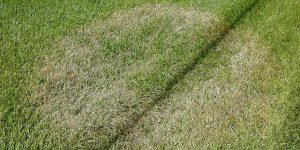 If you forget about the fuel in the tank during the winter months, it could cause significant damage to your lawn mower. The water from the condensation that occurs over time during the winter can mix with the ethanol in the gasoline, which could lead to corrosion and clogging in the internal pipes, and could also cause a myriad of other problems within the fuel system. 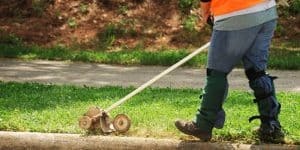 By the time you take out the lawn mower in the spring, you might need to have it professionally cleaned, which could cost upwards of $100. 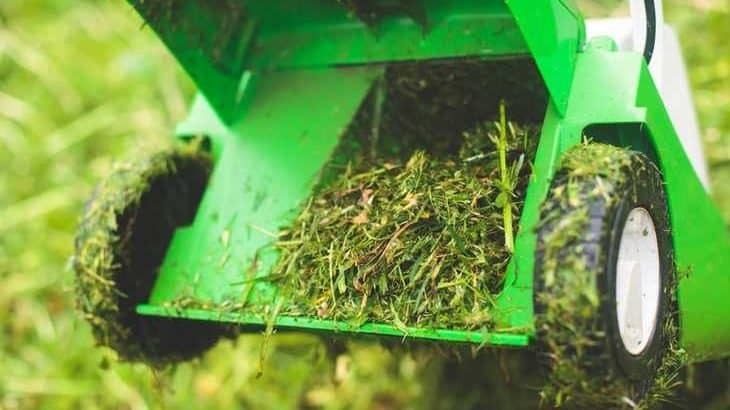 If the amount of fuel in the tank is very little, the best option would be to let the lawn mower run until there is no more fuel left in the machine. However, if you leave your lawn mower in the basement like most other people, you need to remove the fuel, regardless of how much is left in the tank. Storing the fuel inside the lawn mower could become a serious fire hazard. 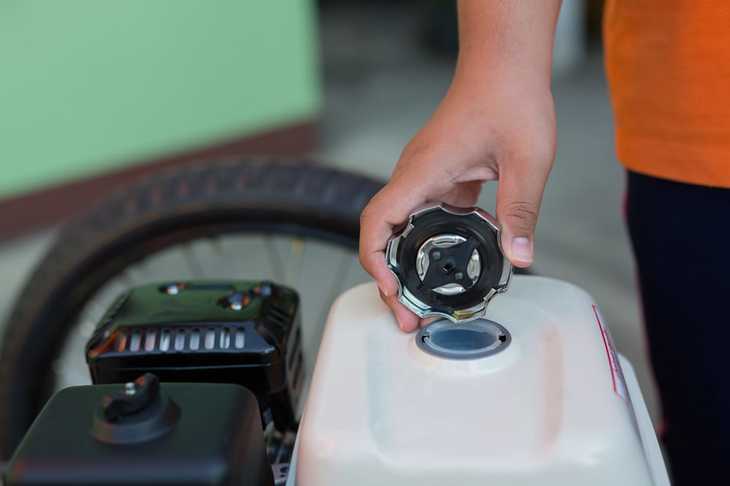 If there is a significant amount of fuel in the tank, you need to make sure to take it out first. 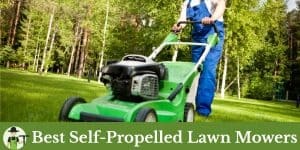 Use a siphon or a turkey baster to remove the fuel from the lawn mower, and add it to your car or use it elsewhere. However, if your lawn mower is in the garage or the shed during the winter months, it’s actually recommended that you fill up the tank with fuel, then add a bit of fuel stabilizer. You can easily find stabilizer at local gas stations or conventional home stores. 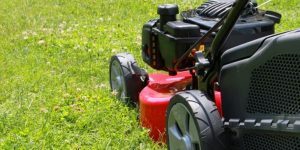 To play it safe, you might want to run the lawn mower for a few minutes, which will be enough for the fuel stabilizer to find its way through to the carburetor. 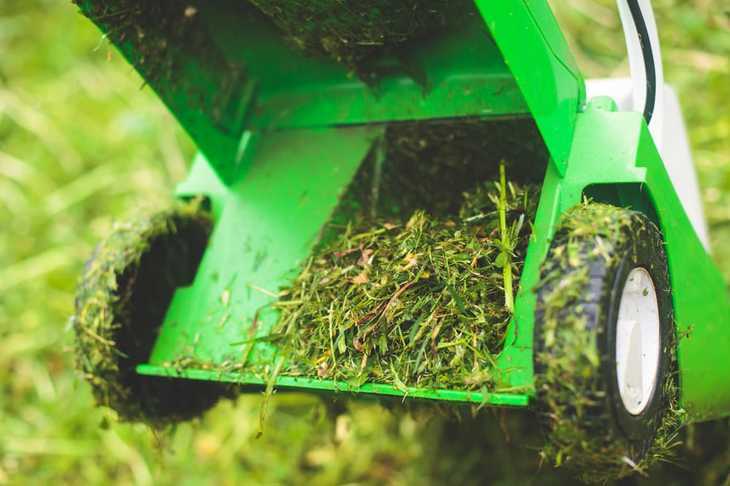 Before you store your lawn mower, you need to clean it thoroughly for the winter months arrive. 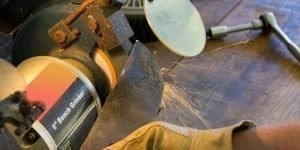 Remove the mower blade and sharpen it using a sharpening tool, but make sure to wear gloves when you do to prevent the chances of an injury. Coat the blade in a light layer of oil before you fit it back in. 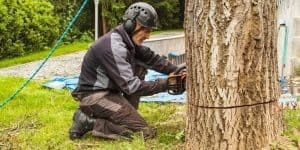 Then, you can disconnect the lead that hooks up to the spark plug, turn the mower over, and clean the underside properly using a wire brush as well as a putty knife. Then, take out the spark plug and spray a little bit of oil into the cylinder to keep it lubricated. You should also pull the recoil handle multiple times to ensure that the layer of oil is properly distributed throughout the inner cylinder. Do not replace the spark plug just yet; if you feel that the lawn mower takes time to start up, you should only remove the spark plug when you take it out for use again in the springtime. Secondly, before you store the lawn mower, you should also clean out the air filter. Again, replacing the air filter is not a wise move, but it’s something that you should consider doing after you take out the lawn mower in the springtime. Make sure you lubricate all of the exposed cable-movement points as well as the pivot points with the help of a high-quality lubricant. Let the oil be in the mower during the winter months, and change it once you take it out in the springtime. 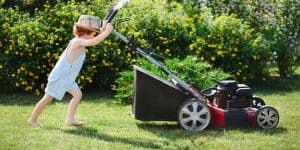 Most importantly, you need to store the lawn mower as far away as possible from a swimming pool, cleaning equipment, or fertilizers, as all of these can cause corrosion and damage the lawn mower. Lawn mower maintenance doesn’t have to cost a lot of money, as long as you buy high-quality lubricants and oils. 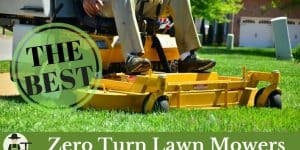 By now you ow how to winterize your lawn mower for the most part. If you want to play it safe, you can also pack the lawn mower in a piece of plastic wrapping. It doesn’t matter if you detach the different parts of the lawn mower while storing it. Just make sure you clean the engine and lubricate it properly before you put it away for the winter!